Spend $100 on chemicals BEFORE or DURING our annual open house to receive a Preferred Card, which grants you 10% off all in store chemicals, including hot tub chemicals, throughout the season. If you can't make it to the store, call in with a credit card to put on file and we can honor the Preferred Card, and send it to you. Hayward: Super Pumps, Chlorinators, Sand Filters, and salt systems! Rocky Solar Reels and Solar Blankets! And 35% off all floats and toys! 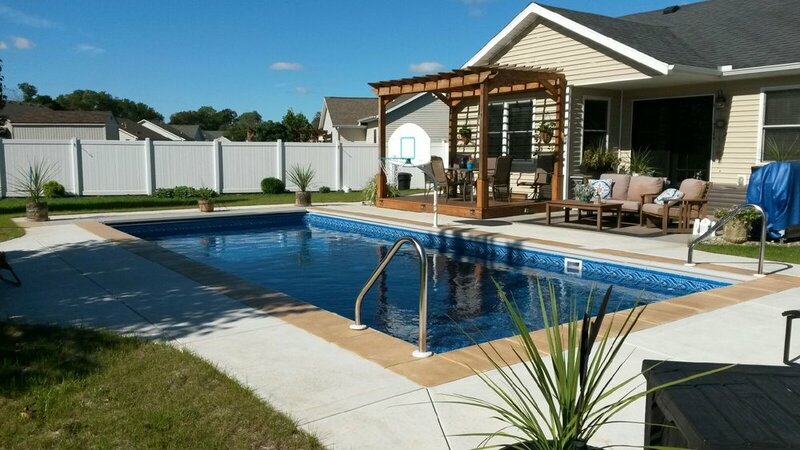 In Northern Indiana and Southern Michigan, Backyard Pools is considered the "experienced expert" at new inground pool construction, having 40 years of building experience. 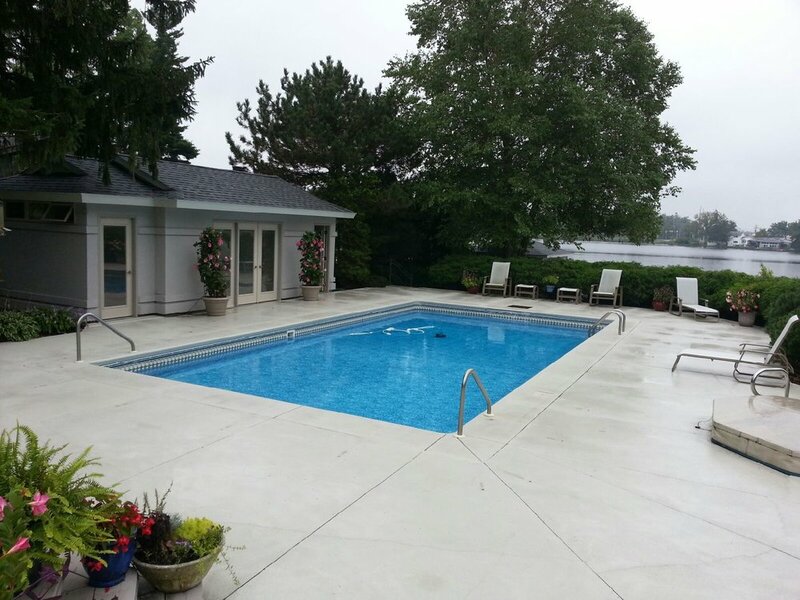 Backyard Pools has installed over 600 vinyl liner pools and even more liner replacements over 40 years of business. Custom sizes and shapes are our speciality along with a full line of traditional shaped pools. All projects are bonded and insured. At Backyard Pools we take great pride in our work and value our customers. Through continuous education programs, our experienced certified technicians are kept up to date on the most current trends and technological advances in the swimming pool industry. In order to better serve our customers Backyard Pools technicians are now certified to service CoverStar and Automatic Pool Covers. The retail side of the business offers water analysis, pool and spa chemicals, pool toys and floats. Backyard Pools is now carrying recycled metal designs, such as metal peace signs, bird houses, and wooden flags. We also offer a full service department with an ample inventory of parts for all your pool repair needs. Having a big party and don't have time to clean the pool? Call Backyard Pools - we have weekly, bi-weekly and monthly pool maintenance services. Come see us today! If you want to see a whole installation, just click directly below! We have a variety of E-Z CLOR® products that can help with your pool. These will help you sanitize, balance, and control algae in your pool. 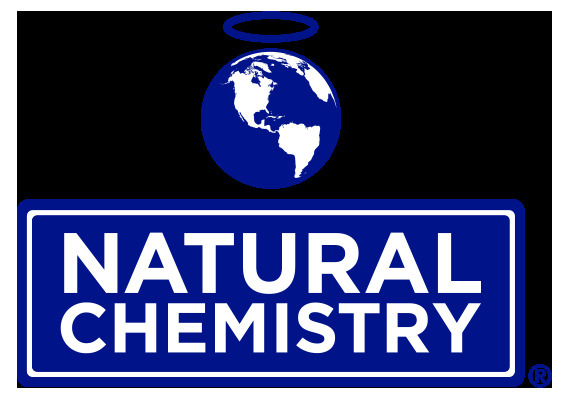 We carry a full line of Natural Chemistry® products for both your pool and spa! Natural Chemistry® can help you clear up any pool with natural and easy-to-use chemicals and help you treat existing stains and prevent new ones.